For some, Curie conjures images of radium and people being ridiculously exposed to radiation. But for Intel, it's invokes images of scientific discovery, advanced learning, and clothing that's a lot smarter than anyone might have expected. The Intel Curie, a new processor, was developed to help give wearable tech a new and ultimately more powerful edge. 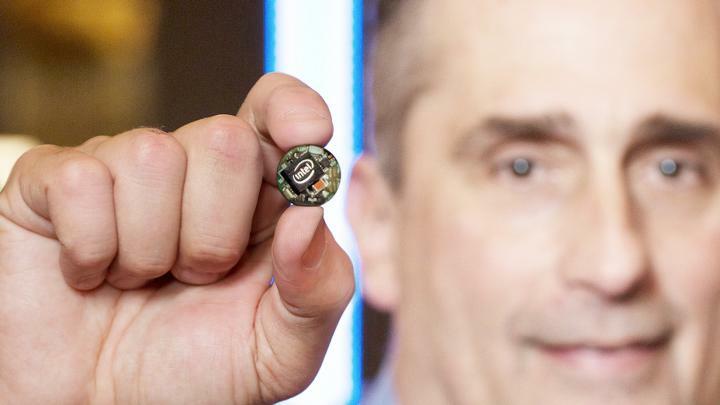 The Intel Curie is said to be the size of a button, but vastly more powerful. It is built around a system-on-a-chip (SoC) microcontroller powered by Quark SE, and packs in familiar features like a gyroscope, a Bluetooth low-energy (LE) radio, a six-axis capable accelerometer and even a coin cell battery. The system also boasts 384 kB of Flash memory with 80 kB of SRAM, as well as a built-in digital signal processing (DSP) sensor hub. Couple all those points together and several distinct possibilities emerge in terms of functions, ranging from fitness tracking to GPS location and well beyond. Some recent measures have shown Intel staff controlling tiny robots with hand gestures out at the Intel Developer Forum. Intel is one of the first companies developing this kind of technology in the field, according to reports. Those who follow the processor market know that Intel was somewhat behind the curve when the smartphone and tablet concept started taking off. But if Intel's ready to get out in front in the wearable tech market—one that is still in many ways looking for ground—it could make itself the biggest name in a market that may someday supplant smartphones and tablets. The possibilities here are astonishing. Earlier-mentioned functions are high on the list, and the days of needing to wear a wrist-mounted device may already be facing the beginning of their end. Consider the idea that a button on our clothes may be the next garage door opener, the next car ignition key, or the next front door key. Consider the idea that a button may be the next mobile payment platform, or even the next way to call a friend. With the kind of power the Curie brings, and the kind of power subsequent releases may bring, this could be the start of a renaissance of sorts in the still-young wearable device market. Only time will tell just what applications come around for the Curie, but one thing is quite clear: there's room enough in this market to really make some impressive things happen, and Intel may be closer than anyone to actually making those things come about.